Genesis is a full service landscape company specializing in residential and commercial landscape design and installation, landscape maintenance, hardscape construction, irrigation design and installation, installation and maintenance of annuals, perennials and wildflowers. We serve Cobb County, Fulton County, Cherokee County, Paulding County and Atlanta, Georgia including Kennesaw, Marietta, Acworth, Austell, Smyrna, Woodstock and surrounding areas. Quality, cost effective, well planned environments that provide immediate impact while avoiding future problems caused by over planting and improper plant selection. Landscapes designed to fit the application. Hardscape construction, irrigation and landscape illumination to complete the project. We provide well trained crews, supervised, uniformed and properly equipped. Quality control provided by Genesis ownership. Correct horticultural procedures employed, responsive to requests and pro-active when the need arises. Courteous and respectful to tenants and their customers. Bang for the buck, pop and sizzle, beautiful designs and careful installations. Tell us your color preferences and favorite flowers or let us design away and we will create glamorous color beds of annual, perennial or mixed plantings. Light up your garden or commercial property. Frame and enhance the architecture of your home while providing peaceful and private environments. Form and function employed to meet the needs of the individual family with color, contrast, and seasonal interest. Hardscape construction, irrigation and landscape illumination to complete the project. Protect your investment and allow it to pay interest in enjoyment and resale value. We provide well trained crews, supervised, uniformed and properly equipped. Quality Control by Genesis Ownership. Correct horticultural procedures such as deep hand pruning available. We are responsive to requests and pro-active when the need arises. Courteous and respectful to homeowners and their guests . 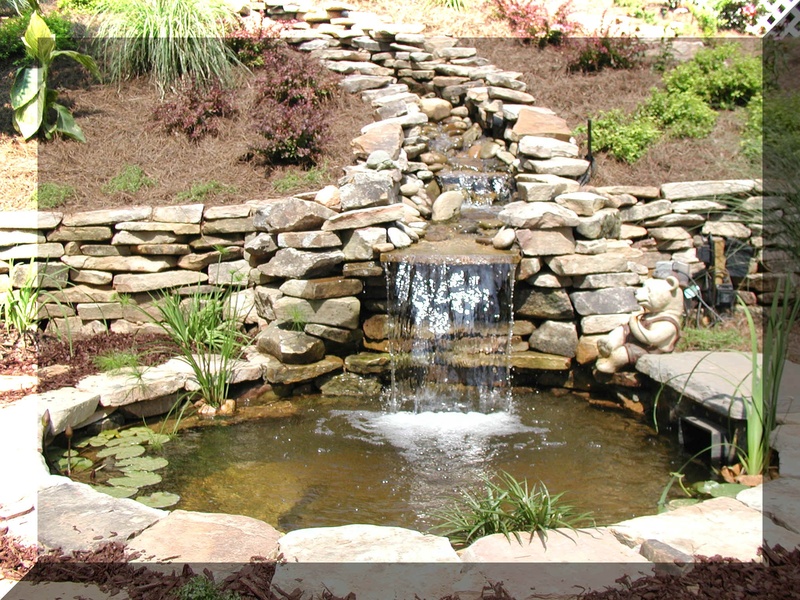 Decorative and functional stone or block retaining walls, new stone or paver patios areas, paver or stone overlay of existing concrete pad patio areas, decorative stone or block firepits and firepit surrounds, water features and other elements to make your outdoor space beautiful, fun and functional.